Vic Sorrell’s 1932 Goudey Gum Company Baseball Card. We are celebrating Major League Baseball’s Opening Day! Stubby Currence added so much to the legacy of baseball, especially in Four Seasons Country. 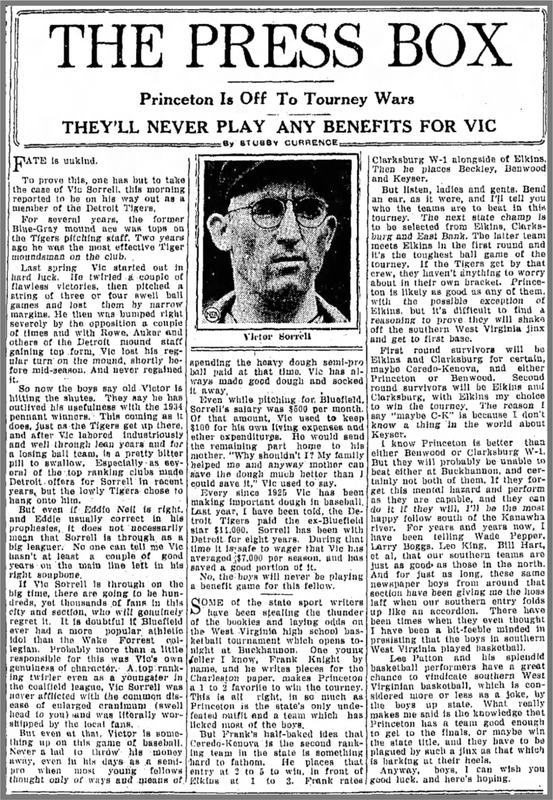 I found this article talking about Stubby’s connection to 1935 World Series Winner and Detriot Tiger pitcher Vic Sorrell, who played for the Bluefield Blue-Grays in the 1920s and 1930s. Read the Sorrell’s biography by Gregory H. Wolf on the Society For American Baseball Research. Sorrell went on to become the head baseball coach at North Carolina State University from 1946 to 1966. Here is a column Stubby wrote about Sorrell in 1935. March 14, 1935 Press Box column by Stubby Currence. 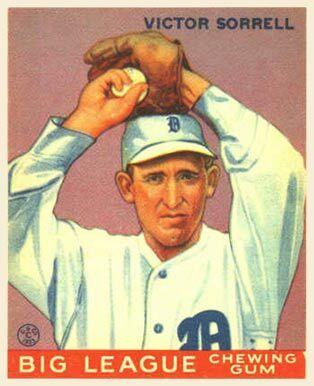 Story references Victor Sorrell, baseball player, pitcher for Detroit Tigers and former player for Bluefield Blue-Grays and Wake Forest University. Click to zoom.